Here's something for the guy who has everything. 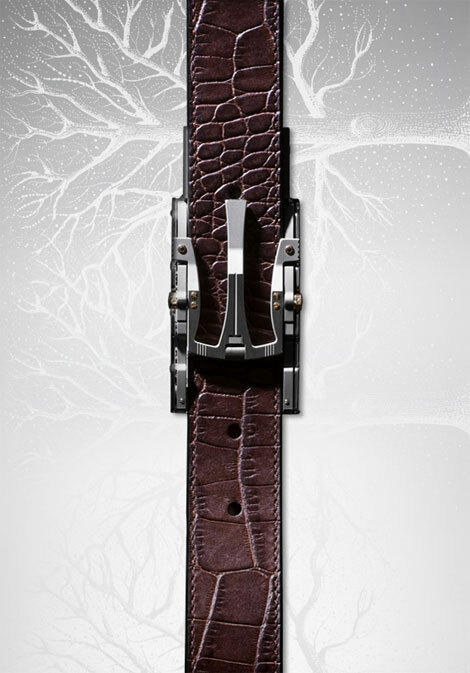 This limited edition accessory (only twenty-five in production) is the Alfred Dunhill Mechanical Belt ($10,500). The intricate mechanical buckle utilizes a patented system of over 108 movable parts, including roller bearings, plates and levers. The belt is hand finished by expert artisans and is made of stainless steel and 18 carat rose gold components ornamented with two inset diamonds. 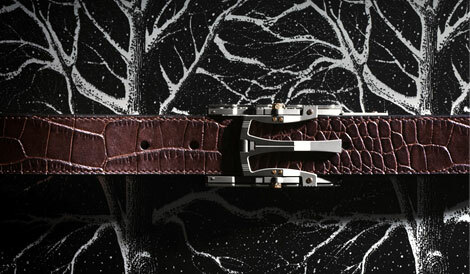 The belt comes with an interchangeable black and brown alligator skin straps and is only available in the company's flagship stores in London, New York, Shanghai and Tokyo.